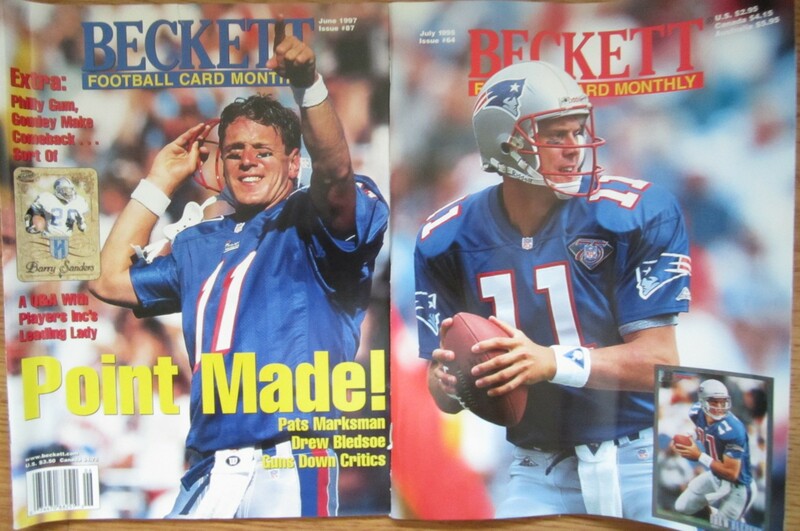 Lot of 2 different Beckett Football Monthly magazines featuring former New England Patriots superstar quarterback Drew Bledsoe on the cover. Both have minor to moderate flaws and wear. ONLY ONE LOT AVAILABLE FOR SALE.